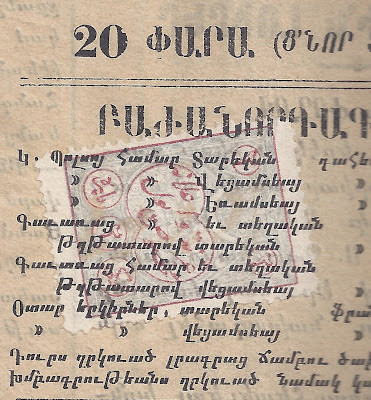 Trevor Pateman's Philately Blog: Armenian Overprints on Turkish Fiscals? 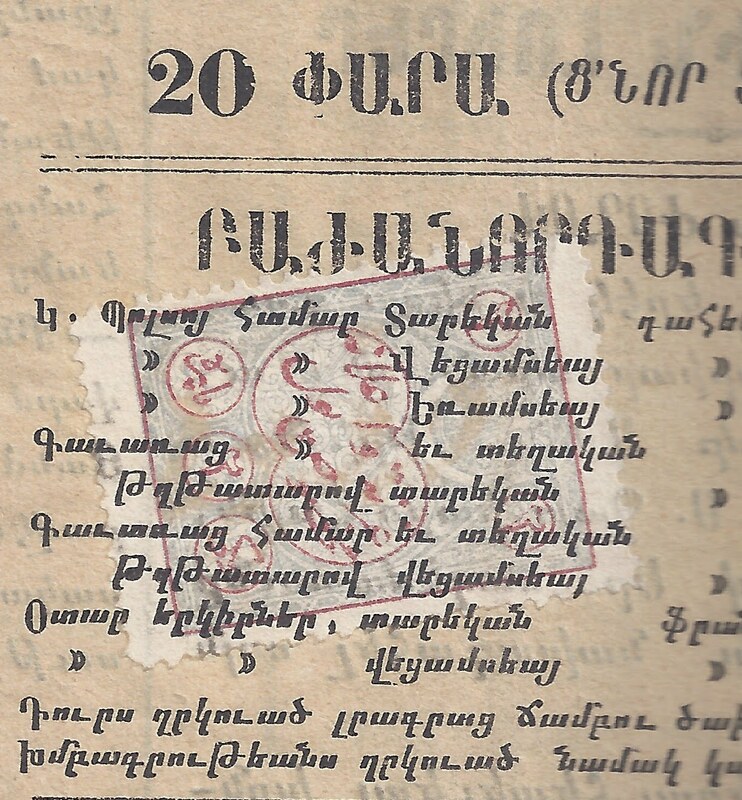 In collections and accumulations of world-wide fiscals, you quite often find old stamps with Arabic inscriptions "overprinted" typographically in Armenian script. 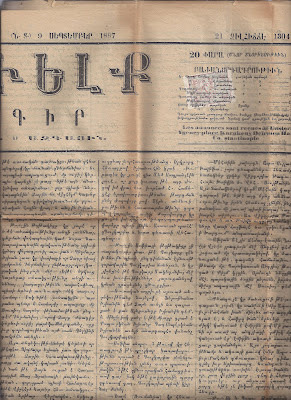 The newspaper is AREVELK published at Galata, Constantinople, by Han Noradounghian. 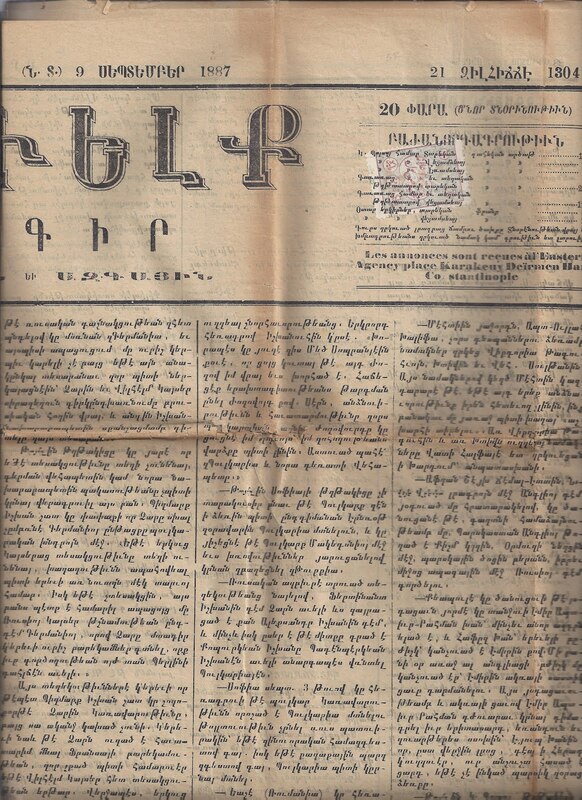 It was founded as a daily newspaper in 1884 by Arpiar Arpiarian and was published continuously until 1915. It is probably the source of most of those fiscals found in old collections. Very interesting. This eplains those overprints quite nice. Great item and nice find!